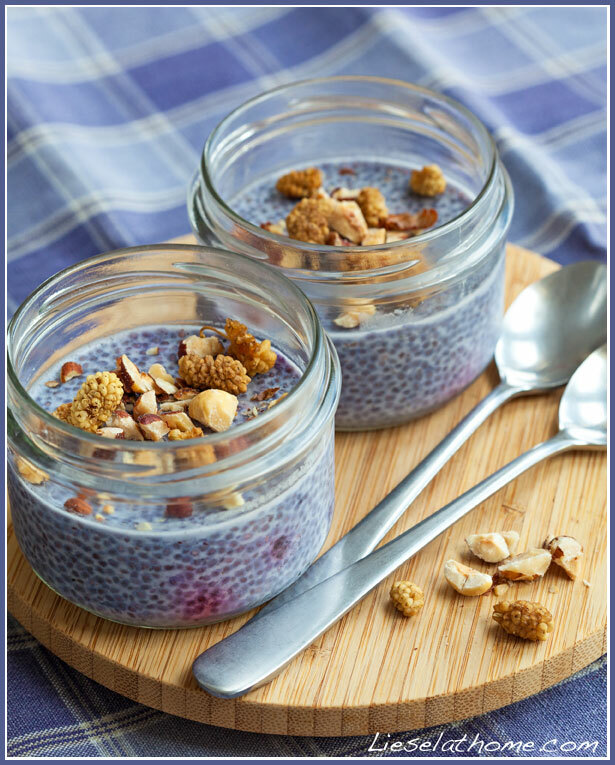 One of my absolute favorite things at the moment are chia seed puddings. 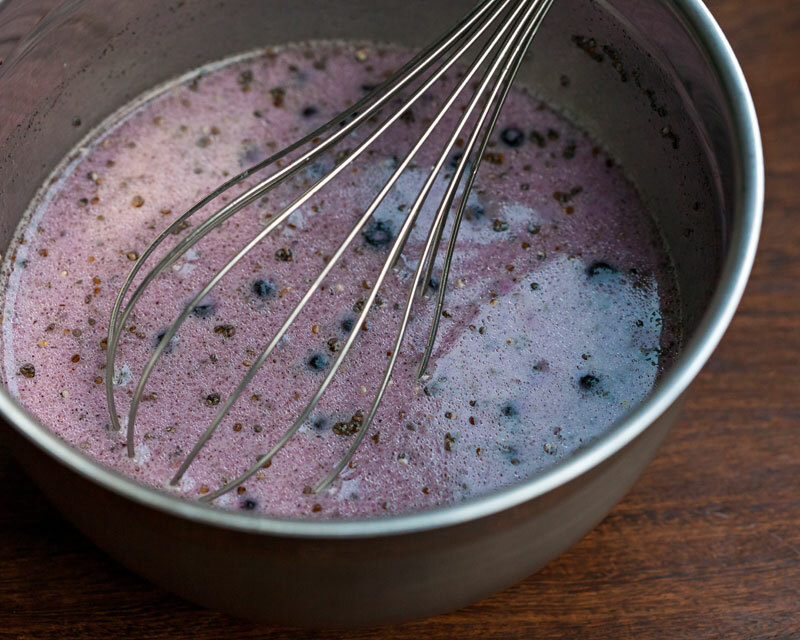 I have had a crush on the saffron version for a few weeks now, and vanilla is always a favorite that can be combined with so many fruits and berries and nuts and all – so it never gets boring! 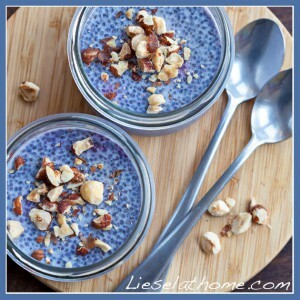 Last week I looked through my older recipes and thought I should give the blueberry chia seed pudding another go. I did, and it turned out great! 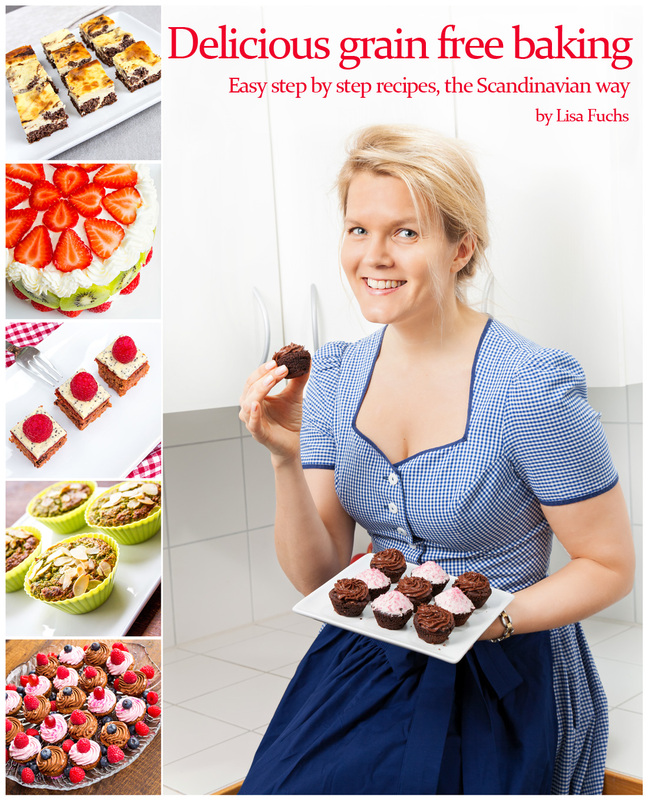 Read on to see how to make it! 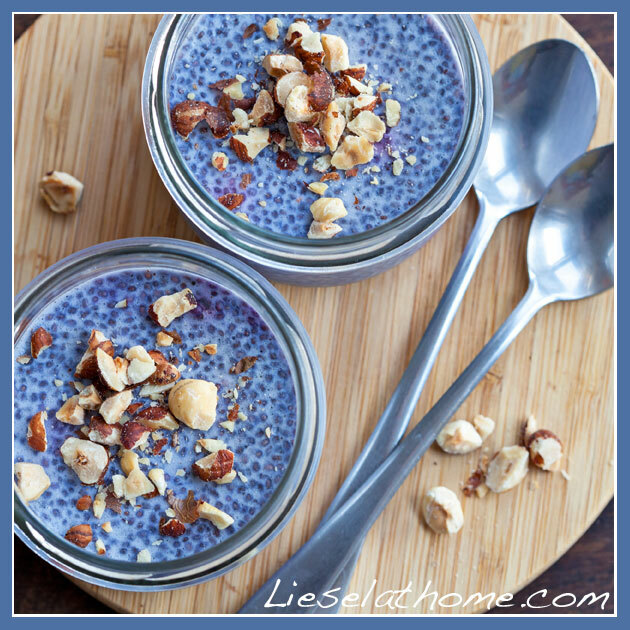 The recipe will give you four servings of this beautiful lavender colored chia pudding that you can eat for breakfast, as a snack, or even as dessert. Again stir. I use a normal whisk, and stir every few minutes for the next 20 minutes. 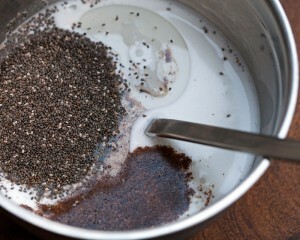 After about 20 minutes you can see the chia seeds have thickened and the mix slowly becomes more solid. Time to fill bowls, cups, jars or glasses. Divide into 4 portions and place them in a fridge for at least another 30 minutes. I say “at least” because of course you can make them a day or two in advance. Serve with fresh berries (blueberries and raspberries go well), nuts (I like roasted hazelnuts or almonds), dried berries (mulberries – yum!) and/or anything you prefer.